Okay, call me basic, but I love the pumpkin spice time of year. The smell of cinnamon and ginger wafting through the house, toasty veggies, scarves, its all delightful. The sugar makes me feel crappy, to be honest, and the dent in my wallet is absurd. And to clarify, I’m not even drinking lattes— Americanos with a pump or two of pumpkin sauce is my festive beverage of choice. So this Fall I set out to make a simple at home version of this fall staple. Does that make me slightly less basic? Or more so? Don’t care. 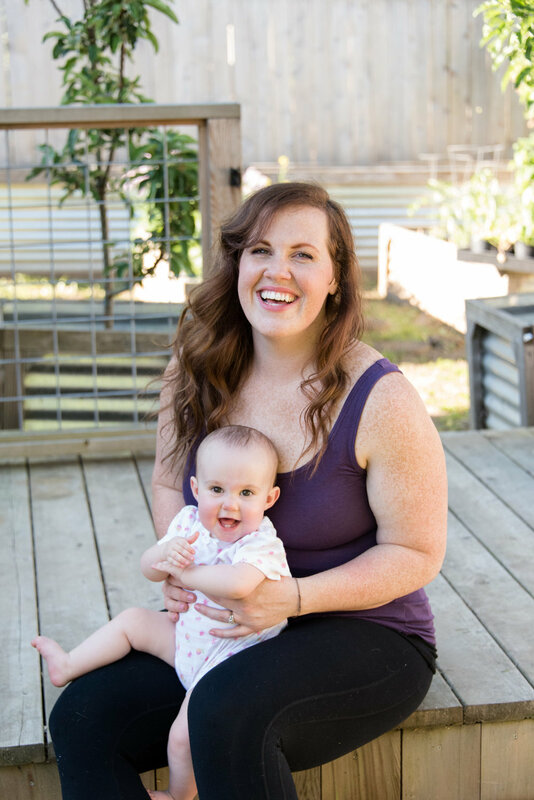 Check out my recipes for Homemade Pumpkin Sauce free from refined sugar and full of ACTUAL PUMPKIN. I also include a variation sweetened simply with dates, rather than maple syrup. You can mix this into your morning coffee with cream or make a delicious Homemade Pumpkin Spice Latte. I include recipes for both! Spicy & sweet pumpkin sauce all set to add a bit of festive flair to your coffee or latte. Free from refined sugars and dairy and made with REAL pumpkin! In a small bowl, whisk all ingredients together until smooth. Try this variation of our pumpkin sauce, sweetened only with dates! Add softened dates to blender and process mixture until smooth. Store in a sealed container in the fridge for up to 10 days. Take your morning boost to the next level. 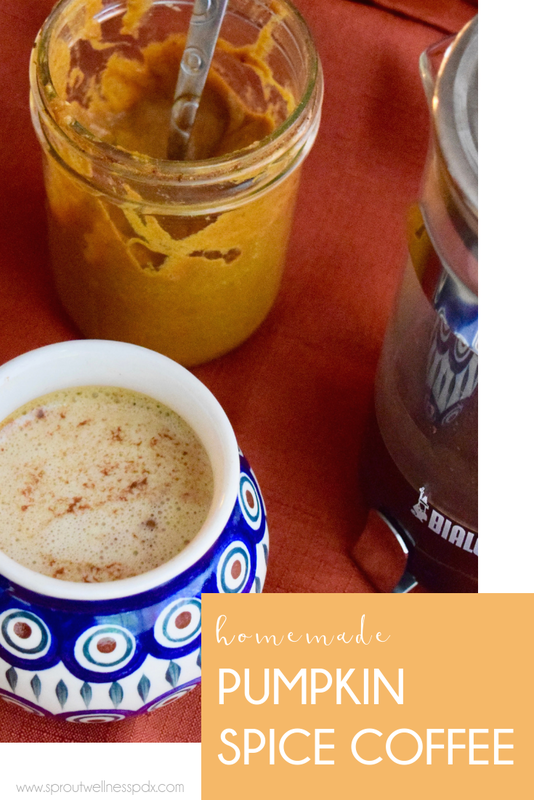 Pumpkin, butter, and collagen peptides make a delightful fall morning breakfast. This recipe uses an immersion blender, but you could also use a handheld milk frother or a regular blender. In a wide mouth glass jar or large mug, combine coffee, butter, mct oil, and pumpkin sauce. Using an immersion blender, process until smooth and frothy. Rich, creamy and delightful, this will put you in the fall mood! This recipe calls for milk frother, but you could also make it a workout and whisk away! In a small sauce pan, heat coconut milk over medium and bring to a simmer. While milk is heating, combine hot coffee and pumpkin sauce and whisk to combine. When milk starts to simmer, whisk (or use a milk frother) to aerate the milk. Add pumpkin sauce and coffee to simmering milk and froth once more. 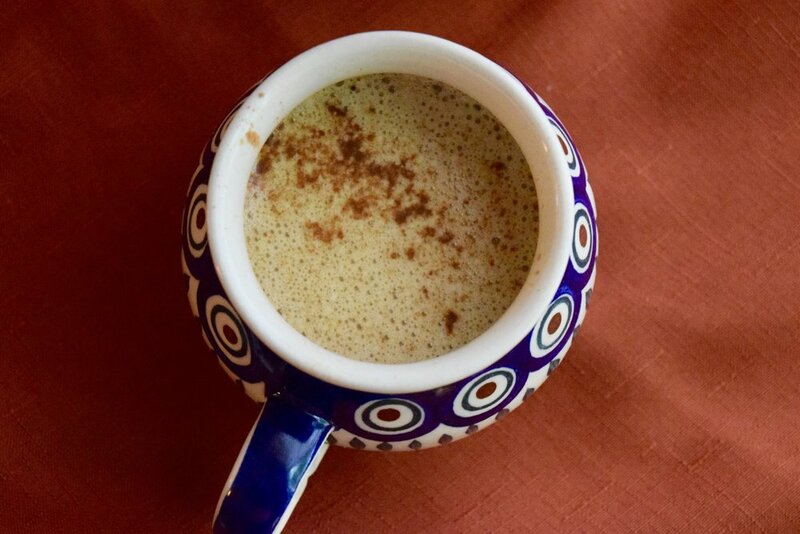 Pour into your favorite mug and top with a dash of cinnamon. Enjoy!